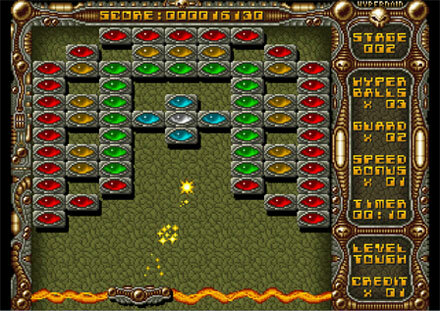 Brick-breaking games belong to one of the most popular arcade game genres and have excited generations of gamers. 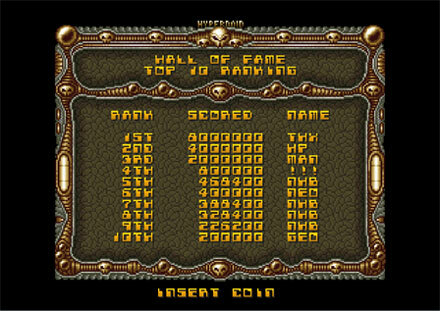 In the Neo Geo game library this genre is considerably underrepresented which is quite suprising for an arcade game system. 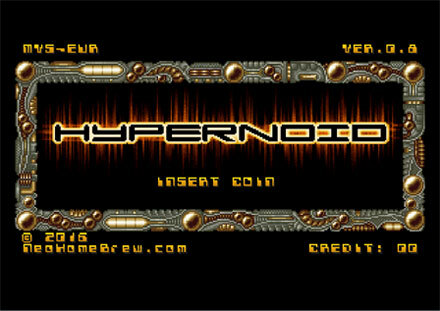 Hypernoid is my interpretation of this genre and combines the classic game mechanics with a new bio-mechanic look and interesting brick layouts. There are nine different power-up items collectible which will help to complete the stages faster which results in more bonus points. Beside the regular brick stages you also have to prove your gaming skills in thrilling fights against big stage bosses. The game not completed yet, I have finished the brick stages and the first boss and currently I am working on second boss. The game is planned to be released in autum/winter 2016 for Neo Geo MVS and AES. 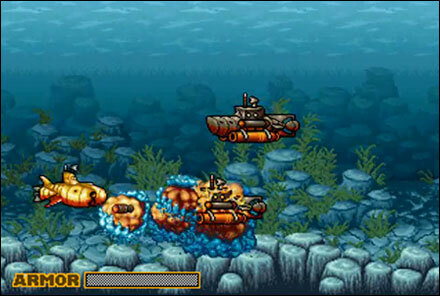 This is a more complex game project - an underwater shooting game with submarines. 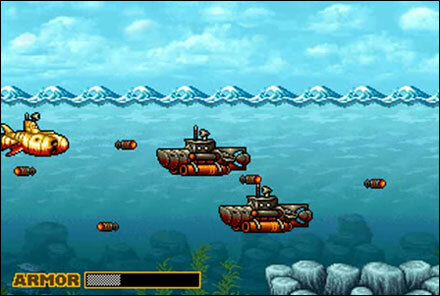 The game is heavily inspired by Irem's "In the Hunt" and the submarine levels of SNK's Metal Slug 3 (and 5). The plan is to design five different stages each with a big submarine boss at the end. Currently, I have finished the basic game engine and have designed the first enemy submarine, a looping animated background and an explosion animation. 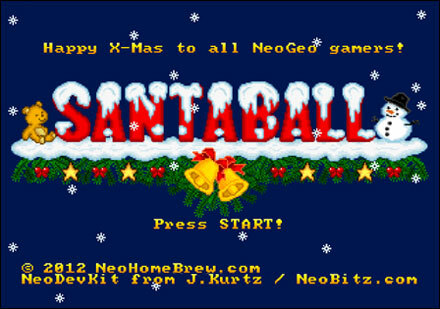 This is my first game for the Neo Geo system, it is a simple but funny "Pong"-style action game with Christmas thematic. I would be happy if you would play it with your family on Christmas! The game offers four different ball speeds (it getting faster the longer you play) and three ball angles (depending at which point the ball hits the racket). 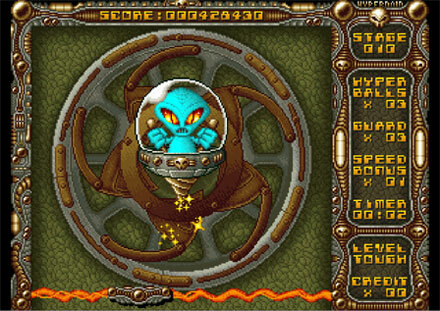 Sorry, there is no single-player mode, the game can only be played with two players. 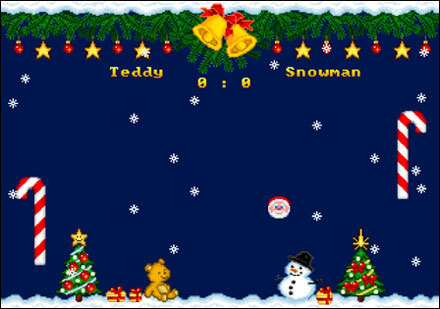 The players have to make nine points to win a match.